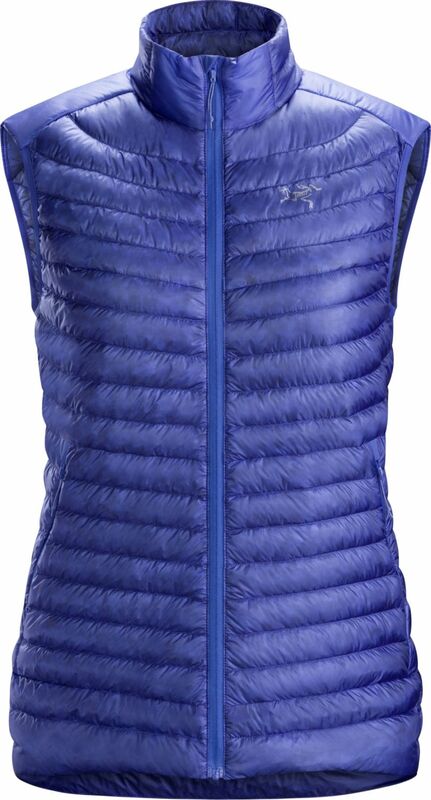 Arc'teryx Women's Cerium SL Vest (S2019) provides impressive warmth for its weight. An efficient midlayer in cool conditions, it also performs as a minimalist standalone when light to moderate warmth is required. Arc'teryx Women's Cerium SL Vest (S2019) provides impressive warmth for its weight. An efficient midlayer in cool conditions, it also performs as a minimalist standalone when light to moderate warmth is required. Features and materials reflect intention and purpose. The 850 fill power goose down’s warmth to weight ratio is outstanding, and the windproof Arato 7 nylon shell is ultra lightweight and resists tearing. Even the zippers are minimized to reduce bulk and shave grams. Redesign includes two zippered hand pockets, an internal security pocket with a stuff sack, and an adjustable hem drawcord to seal out cold.